Squier & Company has been serving customers in the Monson, MA, community since 1874. From our roots in coal delivery to the premium fuels we offer today, we have made it our business to provide professional, courteous, and individualized service that our customers have come to count on throughout the generations. We know our customers’ likes and dislikes, individual needs, and names. So long as we’re in business, that will never change. We’re proud to be a part of this community. We hire local people, we do business with local companies, and we get involved with our local organizations whenever possible. If you’re in our area, stop by our office to say hello and experience the Squier difference for yourself. In 1884, Arba constructed what is now our present office building. He bought and moved the vestry building of the Congregational Church on Fountain Street to the site of Squier & Company Grain Mill at its present location on Squier Ave. This vestry building on Fountain Street was erected by Elias Carter in 1831-1832 at a cost of about $1,500. 1900s: In the early 1900s kerosene deliveries were added, and eventually #2 home heating oil became the majority of the company’s deliveries. Eventually Arba passed the company down to his son Westly, and later Westly turned ownership over to his son Robert. In 1947, Robert sold Squier & Company to Frank and Thomas Haley. Frank’s family has operated the business up to the present day. 2000s: In 2002, Squier & Company was the first local heating oil company to convert to premium #2 fuel oil for delivery to all customers. An additive in the premium fuel oil was introduced to reduce unscheduled service calls caused by clogged filters, nozzles and fuel strainers. Today, we continue to deliver kerosene and premium #2 fuel oil to customers in our service area at very competitive prices. While our company has evolved over the years, one thing has never changed: our commitment to providing top-quality service for our customers’ home heating comfort needs. 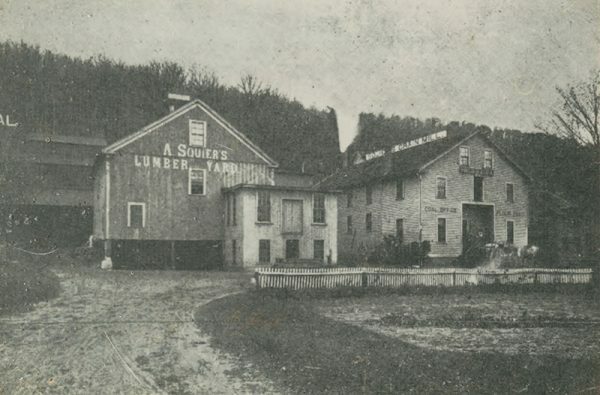 In addition to home heating services, the lumber division of Arba’s business has evolved over the years as well, and is now Squier Lumber and Hardware.